According to this article by Ben Nuckols, a team of surveyors is in town. They are here to figure out if the Washington Monument shifted or sunk during the 5.8-magnitude earthquake that hit our Nation’s capital in August of last year. Although the monument is structurally sound, it will remain closed until August 2013 for repairs. The surveyors’ preliminary results are expected in two weeks. For people living in an area not prone to having earthquakes, it was quite a jarring experience. In fact, one of my colleagues went as far as to take cover under his desk while yelling warnings to our entire floor, but that is beside the point. One can only imagine the thoughts racing through the minds of the employees and tourists in the Washington Monument at the time. Some of the reactions of the people – as well as the damage from the interior – were captured by video camera installed inside the Monument. You can watch videos at the 500 foot level from three different views on the National Park Service website. 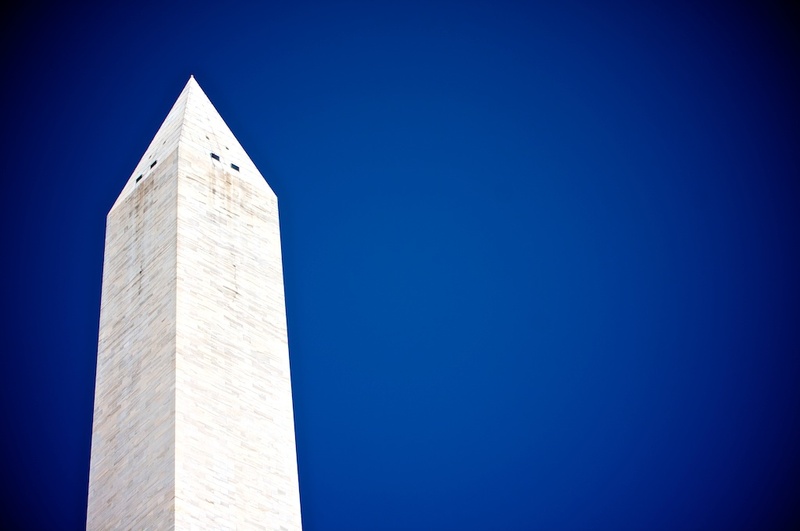 Let’s all hope the surveyors’ findings do not reveal the Washington Monument is tilted as a result of last year’s earthquake. Although, even if the obelisk remains in perfect position, I may just keep my feet planted on the ground after watching those videos!